PN-101: This amazing lake side cabin facing El Peñol with 2 bedrooms, 2 baths, large balcony, fireplace, 5 megs internet, inside exclusive community´s with private restaurant, bar, beach & sports areas. ZR-013 June 1,232 USD! This 2 bedroom apartment is located on the 14th floor, 2 Queen Beds! Extra Large Balcony. Enjoy unobstructed panoramic views of the city. ZR-285: June 960 USD! 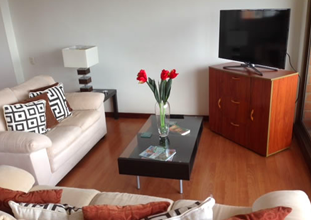 1 Bedroom 19th Floor, Spectacular view, with pool, gym, located near Santa Fe mall, where you can walk to everything. There is nothing more important than protecting your investment in real estate. For this reason we have partnered up with Visas y Tramites Internacionales as they provide the legal representation needed to investigate and clear titles for our customers. From the background investigation of a title to the careful inspection of all documents provided by sellers, nothing slips by their lawyers. 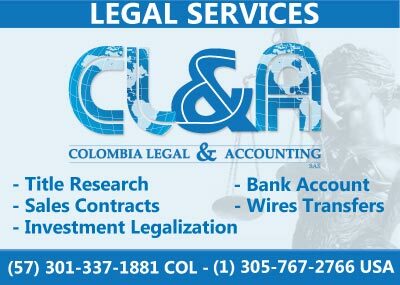 Please see www.ColombiaInvestorsVisa.com for more information on investing in Colombia. 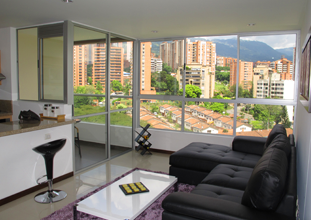 PB-003240: This beautiful apartment is newly built up area of El Poblado near el Tesoro. Clean air, and cooler part of El Poblado. Recently renovated! PB-003235: This Penthouse has 265 meters with three bedrooms, four bathrooms, all that luxury has to offer. PB-003234: This is a beautiful 3 bedroom apartment plus a service room with bathroom. It is 132 square meters. Top quality Legal services an expat can rely on! Paradise Realtor has partnered with Colombia Legal & Accounting SAS for providing due diligence, title service, purchase and sales contracts for properties sold in Medellin. Attorneys we partner with charge 25%-50% of what other gringo attorneys are charging. They will handle everything from opening bank accounts to title investigation services and property inspections. James Lindzey knows what you want and we insure high quality bilingual commercial legal services to all foreigners without the gringo price. Write info@MedellinAttorney.com for more information on property closing services. Paradise Realtor offers modern real estate management services for properties (administracion de inmuebles en Medellin) in Medellin Colombia. Currently, Paradise Realtor offers short term and long term property management solutions. List or Sell your Property with Us! If you want to sell your property, please contact us, It´s free to list your property on this page. We only make money if we sell it for you. Call us today at 313-390-7109 or send us your property information. Paradise Realtor was founded by the husband and wife team of James Lindzey and Luz Adriana Cardona. While James Lindzey brought modern information management and real estate experience from the United States, Adriana Cardona was key to providing insight into the local market and developing relationships with over 100 local agencies and owners. Since 2007, Paradise Realtor has grown to be a respected, competitive and modern real estate company. 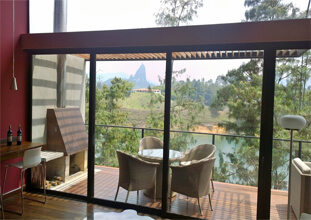 Paradise Realtor is a licensed real estate company in Medellin, Colombia. We specialize in international real estate services, property sales, rentals and management. We offer nothing but the highest caliber in customer service to our clients. 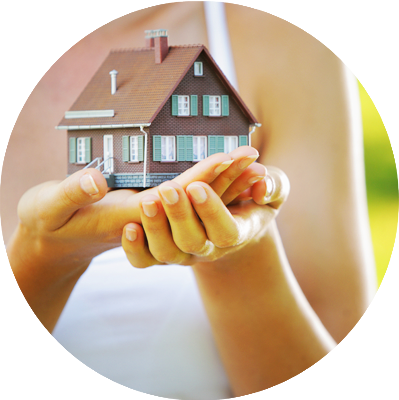 Our contacts in the local community make it easy to provide turnkey real estate solutions. 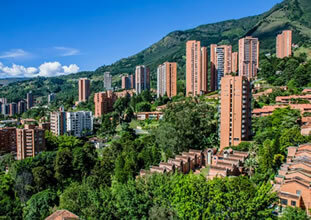 Our transition team will make your move to or investments in Medellin Colombia a smooth process. From banking, immigration, to legal representation we have the contacts necessary to make sure your real estate transactions are handled with the utmost care and confidence.